This week’s Sunday Stills theme is “macro-anything.” Now what does this mean exactly? Macro photography is also considered close-up photography. However, using a true macro lens yields the sharpest, tiniest details whereas a closeup may not show each detail. 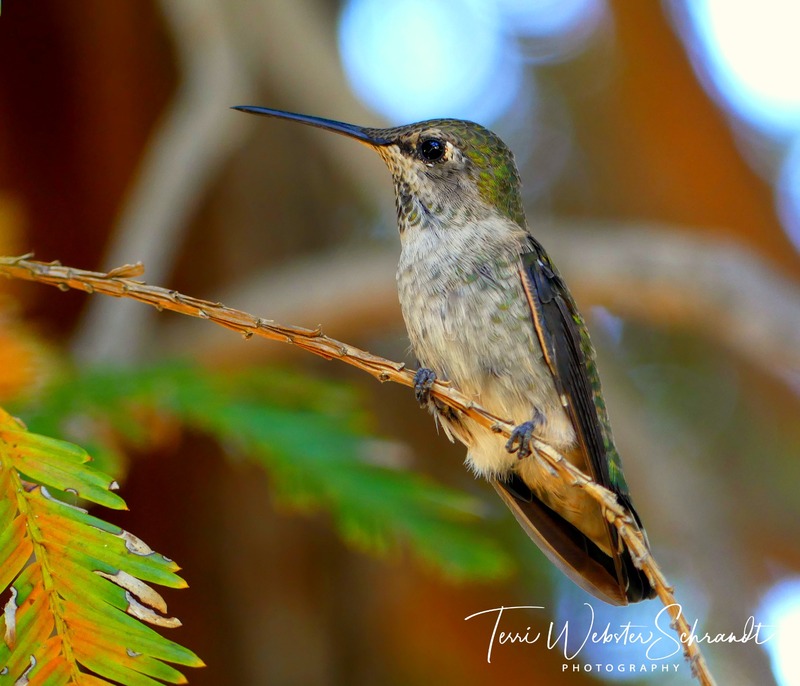 I got a close-up shot of my resident Anna hummingbird perched after feeding. She was quite tame! I don’t have a macro lens on my phone or camera, but I do manage to fill the frame. This time I cropped the photo for a macro effect. Sometimes a macro image takes on new characteristics in an abstract way. My backyard windchime featuring a brass dragonfly looks different in its close-up. Even the mundane becomes an abstract study in geometric shapes. This is the lobby floor of The WELL of Sacramento State University. See captions. Do you see the green recycled glass? Those are repurposed Heineken Beer bottles. “If the subject you are photographing is small and you want to make it look big, you end up with a “macro” view of a “micro” subject. Susan at her blog Musin’ With Susan hosted the Macro Moments challenge a while back. Here she gives an example of macro vs close-up. I’m also adding these shots to Live, Laugh, RV Wandering Wednesday Photo Prompt. Experiment with your camera, mobile phone or tablet. Take a before and after shot and share your results. Remember to title your blog post something different than mine! Wow! Great shots, such great images! Great shots!!! I’ll be looking up the FZ-200! I read your post again this morning. I’m interested in macro photography. Just like you I don’t own a macro lens, I’ve never had. I do own a telephoto zoom lens, that I use to zoom in, and I crop my photos to show details I find beautiful. I’d like to get a macro lens one day. That seems to work doesn’t it? Please stay safe around those fires, I’lb be praying for better conditions and less wind! Yes 🙂 Thank you so much. Right now the winds are increasing. It’s a critical 24 hours to come. The hummingbird shot is amazing. I am always attracted to close up shots, but never really understood why. Things look more important when they fill the frame. It allows you to appreciate the tiniest of details. Thanks, Michele! I am so impressed when I see sharp macro shots! I wish I could get closer to the hummer! Photography is fun, Deb! Give it a try and thank you! Thanks for sharing this Graham, stunning shots!! (Sound of my jaw dropping)! I felt the same way. Once upon a time that might have bothered me, but not these days. I’m happy to do the best I can with the equipment I have. You’ve got some great shots! That sunflower is amazing! I love those little hummingbirds! First time I was around them, I thought I was being “buzzed” by a mini-copter! LOL! What fabulous results you get without a macro lens. I looked into buying one but they are out of my budget for the time being. Anna, your hummingbird, was so cooperative! What a fabulous shot. Glorious, glorious, glorious ! I love the colors in the first photo. Macro photography goes in waves for me. Sometimes I take macro shots all the time, and then I forget for long periods of time. Thank you, Maria! I’m kind of the other way around! Thanks for the explanation between macro and close-up photography, Terri. I think my point-and-shoot cameras are mislabeled with their “macro” setting. 🙂 I see you found Ingrid’s photo challenge. Awesome shots and topics, both of you! Thanks, Liesbet! That explanation was an eye opener for me too! I love your sunflower! I also like the photography guide’s clear description of macro vs. close-up. I kept thinking I’d find time to post pictures for your challenge while I was traveling, but no. Now that I’m back, I hope to participate often. Thank you, Janis! Funny how that photo makes the sunflower look big…it’s really small so far! Glad you are back and I look forward to posts about your trip! Lovely close-ups. The sunflower is beautiful. Love the hummingbird! Thank you, I found you and thought your photos were lovely! 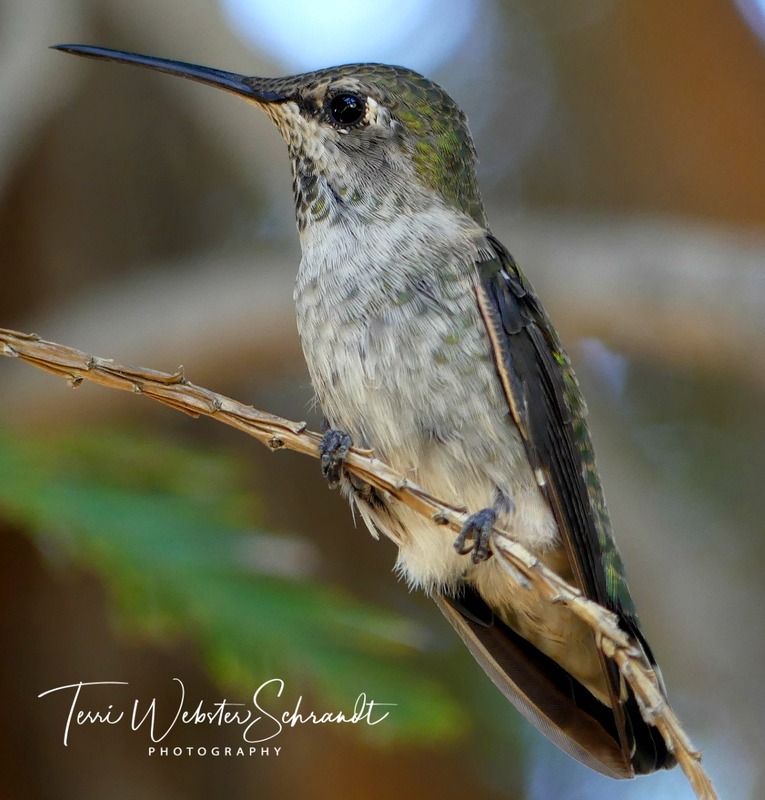 And Anna hummingbird is beautiful!! I marvel at their tiny perfection! God is a marvelous creator! God is indeed! Thanks so much, Melinda! Thank you! You are right, I definitely didn’t see any while there, but there were so many other wonderful birds to see! Wonderful photo Terri. Here is my entry for the week. This is a very interesting post, Terri! The sunflower with all the bees is amazing! The dragonfly is Such a great example of how you can turn the ordinary into the amazing. And the patterns of the floor tiles look great enlarged! You’ve just inspired me to post something for this week’s theme! There is so much to learn about photography, and I still know so little of technical concepts. Thanks, Aixa, and I look forward to your post! These are wonderful Terri. Your opener and the hummingbird close-ups are fab!!! 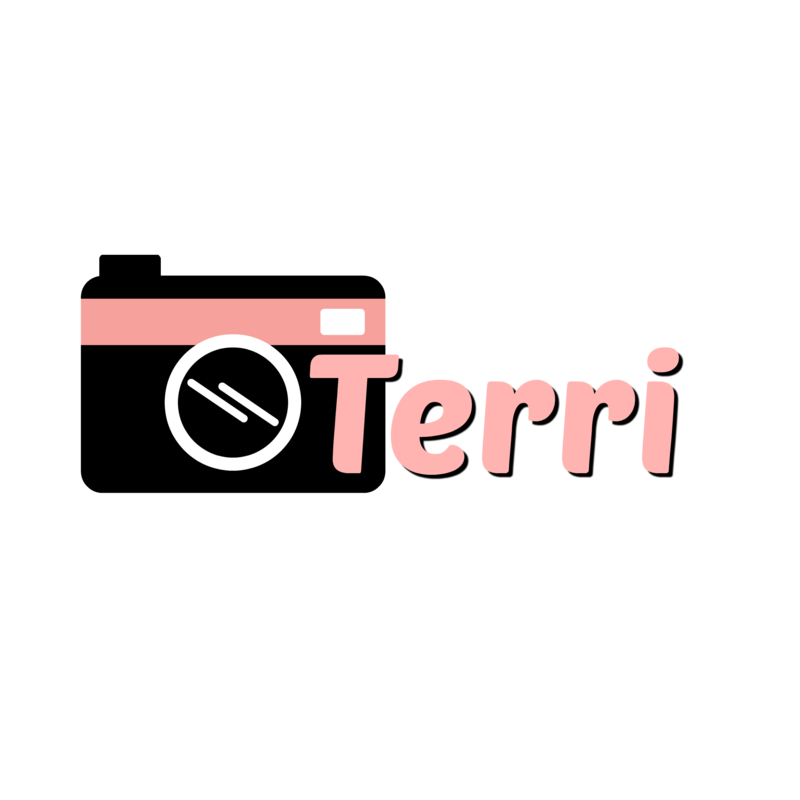 Fabulous macros, Terri. It reminds me that I haven’t photographed much lately, except with my iPhone. Thanks, Lucile! It’s amazing what you can get on a phone! Thanks for referencing Macro Moments, Terri. I may not get a chance to submit this week because I’m busy playing tour guide, but I’ll try to catch a shot in San Francisco! Stunning photo of the hummingbird and dragonfly! My contribution was not shot with a macro lens, but the photo highlighted details in a unique way, so I’m sharing anyway … 🙂 (Yep, added to the blue frog, too, no worries). Thank you Na’Ama! I will be over to your place to check it out! Don’t be surprised if I take you up on that some day. Both hubby and I want to travel more, and I have several blogger friends in NYC! I would love that!! So what lens do you use for these, Terri?? Rob is always wondering if he should get a different one. The details on that flower are so crisp and clean!! Hi Jodie! My lens is all-in-one with my camera, a Lumix FZ3000 (also known as a bridge camera). I used the zoom to get closer to the little hummer. The macro flower shots are just extreme closeups but there is a macro button I use with these although this is not a macro lens. It’s amazing what you can capture close-up with your phone or inexpensive camera 🙂 Tell Rob his photos on your blog have been spectacular of late! Wonderful images! Of course, I’m a huge fan of the hummingbird shots. Thank you! One of these days I may have to get a DSLR camera with a super zoom lens to get those extreme close-ups! With the FZ-300 you should be able to do macro very well … just be sure to set the lens on the side to macro. My FZ-200 is starting to have difficulty focusing on those close-ups.